Even in a post-Miranda Priestly cerulean speech world, fashion jobs can be seen as something un-serious. Stylist Dana Asher Levine anticipates this, and in a written interview with Lifehacker she deftly explains the psychology of style, how her work helps clients like Shonda Rhimes inhabit their best selves, and the specialised processes that go into updating the wardrobes of a dozen clients in a day. I studied fashion in college at FIDM and American University. While at FIDM, I had a job at the California Mart working in the Les Appel clothing showroom as a manufacturer’s representative. After graduating from American University, I entered the garment business by working at a clothing manufacturing warehouse, where garments are designed, sewn, and shipped. I also worked at FIDM as an advisor to new students. I then married young, and for 17 years was focused on raising my three children and managing our household. However, at age 40, my marriage ended and I found myself cut off from the comfortable, secure world I had known before, with no job and no money. I had to provide for my children, and went into full-on survival mode at that point. One thing I was really, really good at was shopping and getting dressed, so, I began shopping for and styling my friends for a fee. 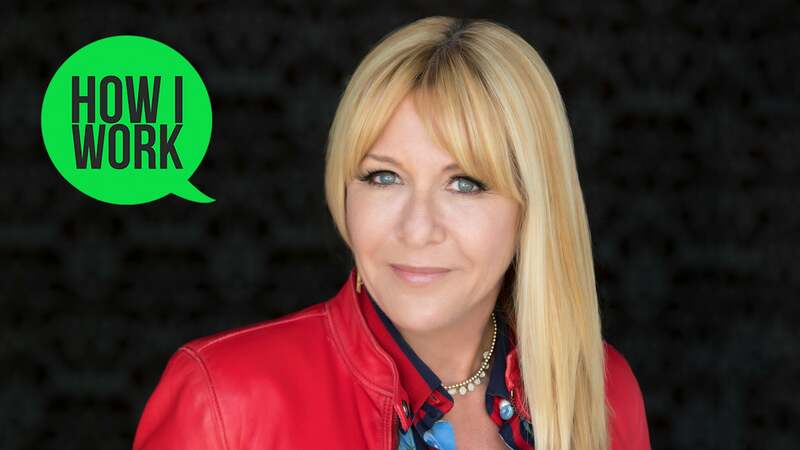 My business grew via word of mouth, friend to friend, and before long I became the leading stylist to powerful Hollywood female executives including Shonda Rhimes, Dana Walden, and Dana Goldberg. I now handle about $US250K per month in styling and personal shopping for Power Women clients. I always say I faked it until I made it! One day last week, I met Shonda at her home around 7:00 AM to do an early morning fitting for a magazine shoot taking place today. I then took a 11:00 AM flight to San Francisco, where I met another client at her home, tech influencer (and wife of Giants player Hunter Pence) Alexis Pence to style her for a charity gala she was attending that night. We also did a story on her Twitch and Instagram channels together (@letsgetlexi is her social handle and @TheClothingTherapist is mine). Afterwards, I headed back to my hotel, got myself ready, and looked over my notes for my panel at the Pinterest women’s conference that I spoke at the next day. I then headed to a dinner with the other conference speakers and Pinterest executives, where we got acquainted and went over topics of discussion for the next day. After dinner, I caught up on client emails and checked in with my assistant to ensure we were staying organised back in LA. Car with GPS navigation: I rack up the miles while driving around the city; from stores, to clients’ homes, to events, I have to maximise my time by avoiding as much LA traffic as possible. All of my organising, pulling, and bagging I do from my home office. I need a lot of space for clothing racks, primarily. So, my workspace setup is similar to a traditional home office with a computer and desk, but it is also filled with clothing and shoe racks. I am obsessive about keeping the space organised; it’s total controlled chaos. 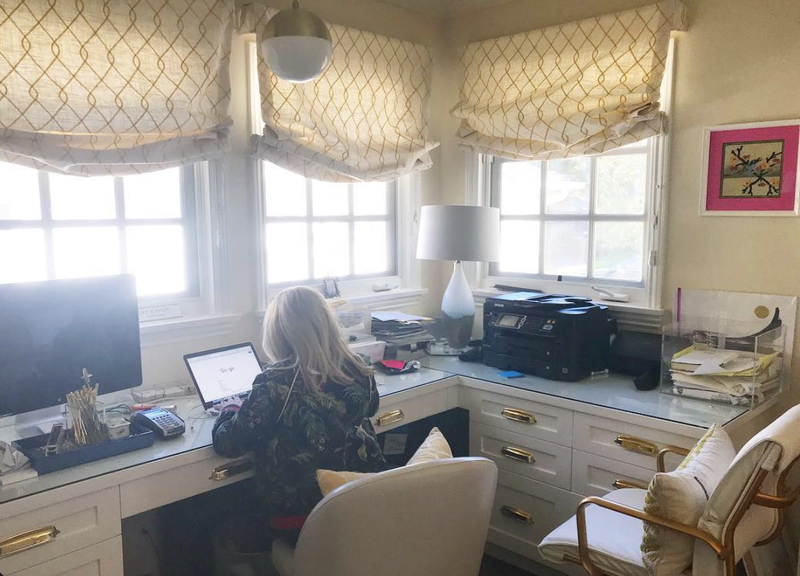 Aside from working out of my home, I also spend much of my time at work in my clients’ homes and closets. 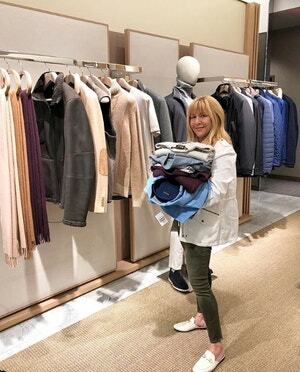 Plus, of course, clothing stores I often frequent are my “office-away-from-office”, and the sales associates that I have worked with for decades are some of my closest colleagues! 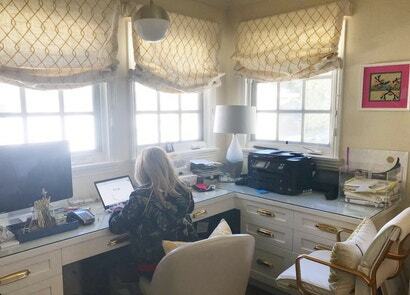 I have personal closets at certain stores that I shop at regularly and use them as satellite office spaces. What do you wish people outside of the fashion industry understood about stylists? People outside of the industry might see my job as shallow, but it is absolutely not. My clients trust me implicitly to boost their confidence, help them prepare for a major event, premiere, speech, or life changing event. My role is primarily as a sort of “clothing therapist” for my clients. Everyone has something they have an insecurity about. I have watched some of my clients start by dreading my visits and not wanting to get out of bed that day because they hated trying on clothes, to later loving our visits because, through working together, they were able to grow that confidence from the outside in, and now see personal style as a powerful tool to success. What fashion advice do you give the most often? To be stylish is to be confident in your clothes. When packing for a trip, I always group clothing by outfit, so it’s already ready to go when you get there! 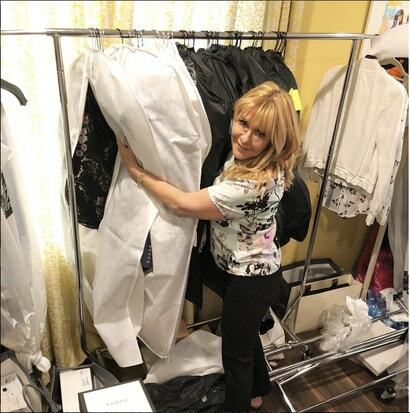 When I am bagging a clothing pull (in other words, sorting a selection of clothes before a fitting), I am meticulously detailed. I will go to ten different stores, pick out what I need at each one for different clients and their events simultaneously. I am very good at multitasking across clients. I bring everything home, and I go through and re-bag everything by person, per item (one bag of shirts, one bag of jeans, one bag of dresses, etc. for each person). I then label everything by person and item, like Dana-pants, Dana-shirts etc. Then my assistant and I will bring everything with that person’s name on it to their home for a fitting. Post-fitting, the client keeps everything they like, and I then take back the discarded clothing to each store. The client only pays for what they keep. 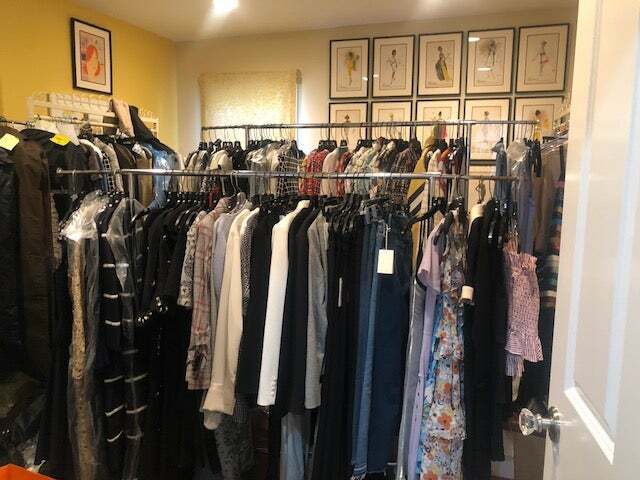 At this point, because I’ve established a close relationship with my stores, I am able to take everything out on consignment. It is critical to never lose an item of clothing, so my system is in place for this reason. Valet parking attendants are my best friend when I am constantly visiting stores. When you have $500k worth of items in your trunk, you become close personal friends with the men and women who look after your car. This is not an exaggeration. I’ve known certain valets for 10+ years and know about their families. My seamstress! The difference between men’s and women’s shopping is that men expect to get their clothes tailored. Women don’t necessarily realise how much of a difference getting a piece altered to make it fit perfectly will make. A seamstress helps bring pieces of clothing to life for my clients that I know will work great with a small tweak. Alex, my assistant, has been with me for 20 years. He does anything from helping me pick up and return clothes, to clothing deliveries, and just generally serves as a right hand man. I know this sounds wild, but I honestly don’t write much down. It’s all in my head! It is very difficult to take a hard stop break from my job when handling personal clients. But I always make Sunday dinner for my husband and three kids to reconnect. Needlepoint! I sold it on the side to make extra money when I was struggling financially in the beginning. I love to read. I just finished the second book in the Crazy Rich Asians series and look forward to the movie. The clothes look amazing! My favourite book I read this year called Dumplin’—it was an amazing story and hilarious, and has also been adapted into a film. To treat everyone in an equally friendly and respectful manner regardless of perceived “status” or role. How to express how much I am worth to clients; pricing my services to reflect my value is still a challenge.